Award-winning facial toning device, innovatively-designed with interchangeable treatment attachments. Clinically-tested and consumer reviewed for improved facial contour, facial tone, and wrinkle reduction to give you a more radiant, younger looking appearance. Professional treatment in the comfort of your own home with visible results in as little as 5 minutes a day. 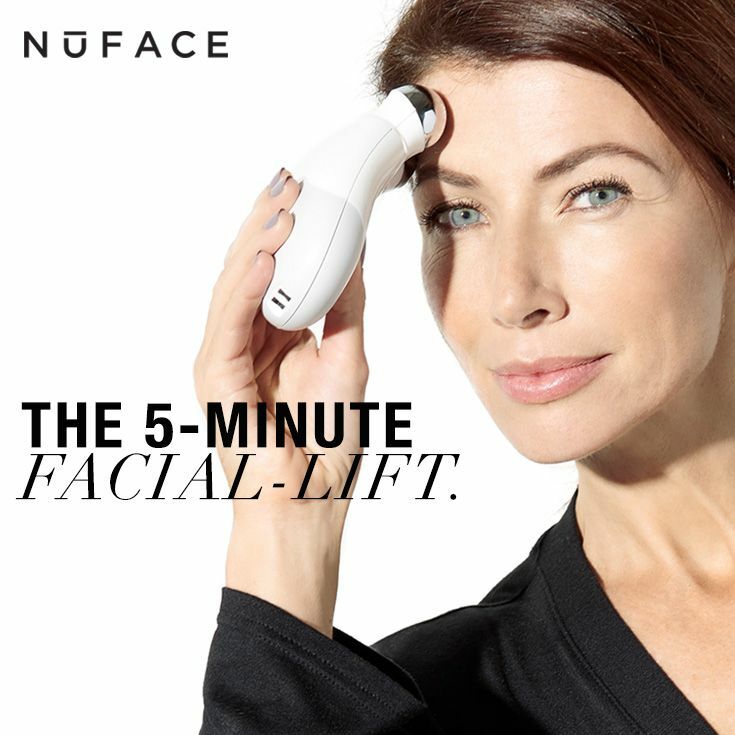 Ergonomically designed device stimulates the larger surface areas of your face and neck with gentle microcurrent, going beyond skin deep to improve facial contour, facial tone and the appearance of fine lines and wrinkles. Use 5 minutes per day. For the first 60 days, use 5 days per week. After 60 days, use 2-3 days per week to maintain results. Use only NuFACE Gel Primer. Contour: Help improve the definition of facial features. Smooth: Help improve the look of fine lines and wrinkles. Tone: Improve the appearance of sagging skin.